The Jeep Wrangler Unlimited continues to its popularity with new additions and enhancements. 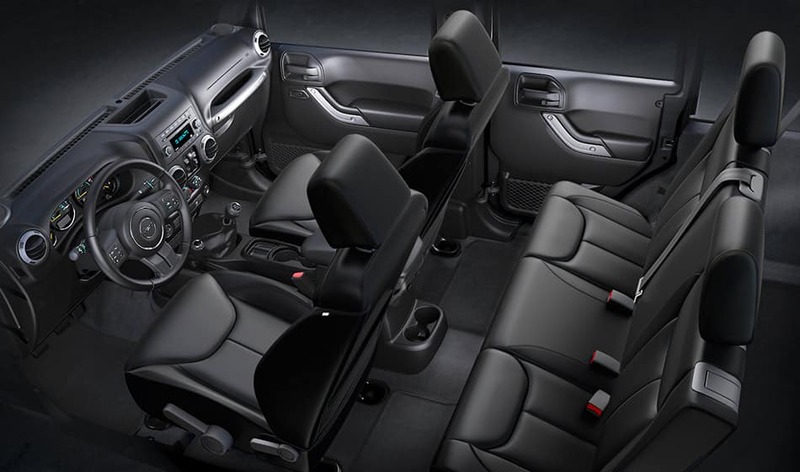 The Wrangler Black Bear Edition now features a unique exterior and interior in the already best-selling Sport model. The Rubicon Hard Rock Edition has experienced enhancements such as the new nine speaker Premium Alpine audio system and a low gloss black grille with high gloss black inserts. Also returning for the 2016 model, the Freedom Edition offers value to you with one-of-a-kind exterior and interior appointments while allowing you to give back. The Jeep brand supports the United Service Organization as part of the Jeep Operation Safe Return initiative with the donation of a portion of the profits from each Freedom Edition sold. Continuing on with body-on-frame design, the 2016 Jeep Wrangler offers you unmatched off-road capability with superior four-wheel drive. 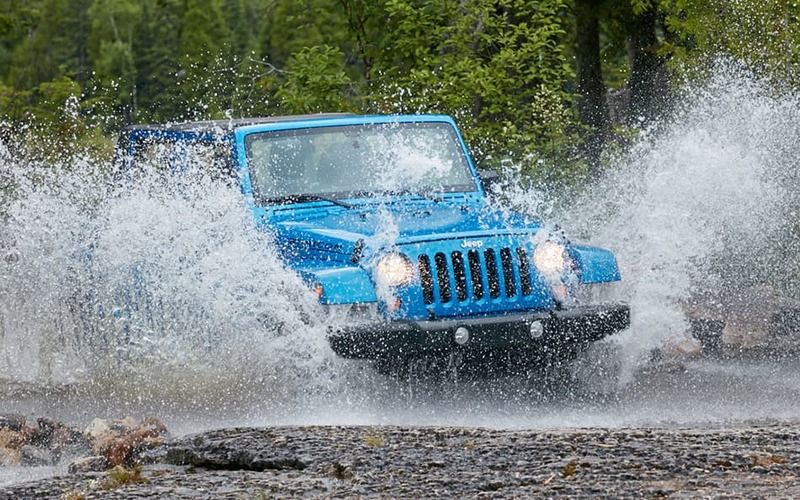 The 2016 Jeep Wrangler Unlimited also continues to offer front and rear five-link suspension system, live axles, electronic lockers, and is one the few mid-size SUVs to offer a choice of six-speed manual transmission and five-speed automatic transmission. The Jeep Wrangler Unlimited is available with several axle gear ratios, which allows you to optimize fuel economy and vehicle capability and has the ability to tow up to 3,500 pounds. The Jeep Wrangler Unlimited is also capable of reaching up to 285 horsepower and up to 260lb.-ft of torque due to the award-winning 3.6-liter Pentastar V-6 engine. As an essential characteristic of extreme off-roading, the Wrangler Unlimited provides a broad torque band with a focus on low-end torque. The alternator is held up high in order to maintain water-fording capabilities and is also designed in order to allow the oil sump to provide oil to the pump at extreme angles . Combining comfort, rich styling, versatility, and intuitive feature use, the 2016 Jeep Wrangler Unlimited features an interior that you just will not want to leave. Features such as automatic temperature controls, power mirrors, and heated premium leather were all designed with your comfort in mind. Also, a large rear window allows for improved visibility and therefore increased safety along with 12-volt accessory outlets throughout the cabin, and 115 AC outlet with three pronged home electronic capabilities. Signature features that epitomize the Jeep Wrangler Unlimited are the classic round headlamps, seven-slot grille, trapezoid wheel flares, removable doors, exposed hinges, fold down windshield, removable tops, and half doors. Where is Mullahey DCJ located? Can I get my vehicle financed at the dealership? Can I get my vehicle serviced at the dealership? Featuring an array of safety and security options, your 2016 Jeep Wrangler Unlimited is engineered with your safety in the forefront of Jeep's mind. Features such as standard electronic stability control, electronic roll mitigation, trailer-sway control, Hill start Assist, and brake traction are just a few of the many different safety options. Engineered in order to improve handling and increase accident avoidance, the 2016 Jeep Wrangler Unlimited gives you the ability to go anywhere and do anything. Emphasizing driver connectivity, the Jeep Wrangler Unlimited features Uconnect systems, voice recognition, Bluetooth streaming audio, SiriusXM Radio, and intuitive buttons located on the steering wheel to allow your hands to remain on the wheel and your eyes fixed on the road.